Massey's novels blend Japan's modern culture with its ancient past. Before living in Japan, author Sujata (Banerjee) Massey, A&S '86, thought of the country as a modern land of bullet trains and high-tech gadgets. But on her way from the airport on her very first day in Japan, a "huge throng" of about 200 men dressed in traditional hapi coats (short blue and white jackets) and loincloths surrounded her minivan. "Traffic came to a halt because no one could get through," says Massey. The men, who carried an ornate, gilded shrine upon their shoulders, were participating in O-Bon, a Buddhist festival for the souls of ancestors. Massey was entranced by the spectacle and pageantry, the unexpected blending of modernity and ancient ritual. The richness of Japanese culture she experienced so vividly that day and over the ensuing two years provided creative fodder for a series of mystery novels, all set in modern-day Japan. The books have been well-received: The Salaryman's Wife won an Agatha Award for Best First Novel and was named a People magazine "Page-Turner of the Week." USA Today called Massey "a gifted storyteller who delivers strong characters, a tight plot, and an inside view of Japan and its culture." 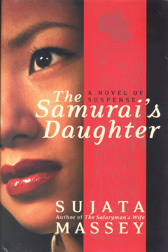 The sixth and latest book in the series, The Samurai's Daughter, is perhaps her most ambitious, examining the war guilt that lingers from Japanese brutalities during World War II, including the exploitation of "comfort women" and slave laborers. The book was an attempt for her to reconcile that wartime past with the polite and gracious culture she had experienced firsthand. 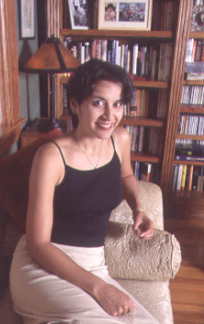 A Writing Seminars graduate, Massey worked as a features writer for the now-defunct Baltimore Evening Sun and in Johns Hopkins' Office of News and Information. After marrying Tony Massey, A&S '85, in 1991, she traveled with him to Japan, where Tony, a Naval officer, had a two-year tour of duty that frequently required him to be away from home. 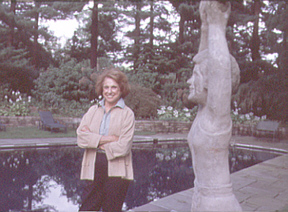 As "a young woman alone in a house" in a foreign country, Massey threw herself into Japanese culture: She took flower-arranging and cooking classes, traveled the country, studied Japanese, and learned to drive on the left side of the road. She also taught English, where her inquisitive nature and interest in others often encouraged people to open up. "It was like therapy for people because they could talk to this strange foreigner and divulge things that they couldn't tell their friends or family," says Massey. "I was able to get a sense of Japanese family dynamics." She began to write about Japanese culture in her first book through the character of Rei Shimura, an antiques dealer, Hopkins alum, and (like Massey) former News-Letter writer, who struggles to straddle both cultures. The character of Rei, who grew up in California, is half American and half Japanese. "She tries to be Japanese, but she can't," explains Massey. "She's too forthright, too American." As the daughter of an Indian father and a German mother, Massey understands the pull of diverse cultures upon the psyche. She created a character whose heritage is not identical to her own, providing a kind of "screen" upon which to project bi-cultural issues. "I like to write about people from different worlds that, in the end, are really not so different," she says. In Massey's first book, The Salaryman's Wife, "I wrote about what I marveled at," she says, "the ritual of a funeral, a noodle shop, the Japanese Alps. That first book was my love letter to Japan." These days, she usually starts by examining a topic that interests her. "Every book has an issue, whether it's the role of women or environmental rights," explains Massey. "I keep my ears open for problems, and then I work on the mystery." Massey has lived in Baltimore since returning to the U.S. in 1993, but she travels frequently to Japan to research her books. On a typical day, she might write for a few hours at a local coffee shop, but most of her time is devoted to raising the couple's 5-year-old daughter and 2-year-old son, both adopted from India. At the U.S. State Department, Celina Realuyo, SAIS '90, plays a sophisticated game of connect-the-dots. When children play the game, they're looking for patterns to emerge, and the same is true for Realuyo and her colleagues. But the patterns they're looking for are those that indicate terrorist activity, and the "dots" are clues such as financial transactions, travel, relationships, and cash-intensive business activity that could provide a cover for money laundering. Realuyo, a policy analyst in the Office of the Coordinator for Counterterrorism, partners with FBI agents, Justice and Treasury Department officials, and financial regulators to track the money trail of terrorists and to help develop a system whereby financial institutions and government regulatory agencies worldwide can report suspicious activity. Realuyo grew up in Manhattan, and the events of 9/11 completely transformed her life. She switched from a more lucrative private-sector job and put her Harvard MBA and banking expertise to work for the federal government in the fight against terrorism. She had previously worked as a foreign service officer, so she knew there would be trade-offs. "It wasn't easy to decide to deal with bureaucracy again," she says. 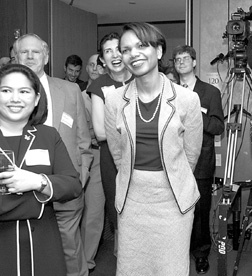 When she was first hired, Realuyo thought her job would focus on individual cases, but a large portion of her work involves sharing her expertise with bankers and government regulators in other countries. This summer, for example, she was in Southeast Asia to help organize an educational conference — the first of its kind — on how to look for, report, prevent, and respond to potential terrorist financial activity. "My trip was aimed at providing assistance to my Southeast Asian counterparts to beef up their counterterrorist capabilities," she explains. Realuyo makes an effort to build partnerships with her international colleagues. "It helps that I've been in banking," she says, "so I'm not seen as a regulator from the outside who comes in and tries to control how things are done." With more than $1 trillion exchanging hands across the globe every day, and with money often represented by nothing more tangible than a blip on a computer screen, Realuyo admits that her job can seem daunting. But she points to tighter banking regulations and other preventive measures as evidence that times have changed. The Master Butchers Singing Club, by Louise Erdrich, A&S '79 (MS), Harper Collins (2003). Erdrich's seventh novel fleshes out her already fulfilling style: plots that in their novelty are the antithesis of novelistic, adorned by strong women, and keenly detailed. The lead butcher is a Teuton who survived World War I to raise sons, thanks to an upbeat helpmate, along the Dakota headwaters of the Mississippi. They are sucked into World War II, with the story taking as many turns as the river. Iran: From Religious Dispute to Revolution, by Michael M. J. Fisher, A&S '67, University of Wisconsin Press (2003). It's not easy to explain the nuances of an Annual Fund campaign that stretches across the entire university and Johns Hopkins Medicine. But Constance Caplan, A&S '78 (MA), is up to the task. Caplan, the Annual Fund chair for the Johns Hopkins Campaign, "Knowledge for the World," is also chairwoman of The Time Group, a Baltimore property management firm, and a University and Johns Hopkins Medicine trustee. She talked with Jeanne Johnson about why the Annual Fund is important to the University and Hospital/Health System. With annual funds being applied a bit differently at each school or division at Johns Hopkins, is it possible to explain the Annual Fund in an all-inclusive way? The Annual Fund represents the base of Johns Hopkins support from alumni, friends, faculty, grateful patients, and others associated with Johns Hopkins. Giving Annual Fund money is a simple process, really. There is no need for complicated paperwork, and gifts can be of any size. These gifts are available to be used right away, either as the donor specifies, or in an unrestricted way, at the discretion of deans and the university administration. Unrestricted money can frequently be used in the most productive way possible because it comes with no strings attached. It's a matter of being able to place trust in the deans and those who really know the schools best. I've been a trustee for eight years, and I am so impressed by the quality of the leadership — deans, faculty, and administration — and the overall dedication of people who work at Hopkins. Johns Hopkins is recognized worldwide for excellence, and I have confidence in the quality of the people who are leading the institution, so I trust them to spend wisely. However, if a person wants to designate Annual Fund money for something specific, he or she can do that. How is most Annual Fund money spent? Historically, most Annual Fund money is used to provide students with financial aid. That's true across the institution. Hopkins' scholarship endowment is less than that of peer institutions, so Annual Fund money is absolutely vital if we are to continue to compete for the best students year after year. With some funds, like the Hopkins Fund — the undergraduate annual fund for Arts & Sciences and Engineering — there are additional priorities. Money from the Hopkins Fund is designated to support scholarships, teaching, and the Milton S. Eisenhower Library. How might you respond to donors who have the impression that smaller gifts don't make a difference in a place like Johns Hopkins? No matter how small a gift is, it's important. It represents a decision. Smaller gifts are often catalysts for larger gifts, and the Annual Fund is the perfect place to put gifts of all sizes to work by pooling them during the fiscal year. It's a fact that great accomplishments often result not from a single act, but from the accumulation of many smaller acts. The same is true with gifts. It's the accumulation of smaller gifts that gives them a significance they would not have individually. Also, people need to keep in mind that many large gifts are targeted for large capital projects or are designated for very specific purposes. Annual Fund money provides much more flexibility to respond to needs as they arise. How was support for the Annual Fund last year? This has been a tough time for fundraising, and gifts to the Annual Fund remained at about the same level from 2002 to 2003. Given the economy, that's actually OK news. But what I'm excited about is that the number of individual donors increased 6 percent. That's important and encouraging because it signifies a commitment. People are making choices, and it shows that the instinct to support organizations like Hopkins that are doing their job well is still there. There are other encouraging signs as well. Gifts to the Hopkins Fund totaled $2.05 million, which represents a 22 percent increase over last year, and the number of alumni and friends who joined the President's Club by giving more than $5,000 rose from 1,419 to 1,710. That's an increase of 13.5 percent for this year, and an increase of almost 20 percent from 2001. We need to get out the message that participation is important, especially for alumni. It shows that those who know Hopkins best care about its future, and that's why the percentage of alumni who give to their alma mater is one of the factors considered by corporations, foundations, and ranking organizations. What do you predict for this year? I'm encouraged by the increase in the number of individual donors, and I am confident we will continue to see an increase in the number of alumni who make gifts. When more people give, it shows they care about Johns Hopkins' future, know the institution is well run, and know their contribution can make a difference. For more information about the Annual Fund, or to make a gift, call 410-516-3400 or 800-JHU-JHAA or visit www.giving.jhu.edu. "When you become a physician, you need to understand that you're in service to the public," says Christopher Colenda, SPH '82. As the new dean of the College of Medicine at the Texas A&M University System Health Science Center, he is using his 25 years of psychiatric experience to mold the next generation of doctors. Colenda came to A&M in January from Michigan State University, where he had spent six years as the chairman of the department of psychiatry at the College of Human Medicine. As a physician specializing in geriatric psychiatry, he brings a unique perspective to his new position. Only 10 percent of medical school deans are psychiatrists, and Colenda knows of only one other dean who is active in geriatric psychiatry. Nevertheless, Colenda sees his background as a great advantage: Many of the characteristics identified as necessary to be a successful dean are the same as those of psychiatrists — good listening skills, empathy, the ability to tolerate ambiguity, group process skills, and decisiveness. "We get training on how to say 'no,' and how to get folks to hear that 'no' really means 'no,'" Colenda says. Like so many college students, Brian Razzaque, Engr '00, A&S '00, carried the weight of his parents' expectations. "I was originally supposed to be a doctor and take over the family [gastroenterology] practice," he says. But his interest in — and skill for — computers pulled him in another direction. A double major in biology and computer science kept his parents happy and allowed him to be true to his passion. At Hopkins, his sure touch with computers soon dominated. By his sophomore year he was the Whiting School of Engineering's Web Master and the computer science department's head teacher's assistant, managing 10-12 other TAs. 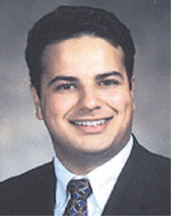 That same year he sunk $50,000 of his medical school savings into his own dorm-based computer business (later named Vision Multimedia Technologies, or VMT). "Initially, [my dad] wasn't happy," recalls Razzaque. "The turning point for him was when he was sued for medical malpractice. He was very disheartened." VMT's biggest project to date is a massive program the company created for the Johns Hopkins School of Medicine. The program organizes and classifies as many as 400 tissue samples on a single specimen slide to help speed cancer research. An expert in media studies, Mark Crispin Miller has taken his political angst on the road in Operation American Freedom. Mark Crispin Miller, A&S '74 (MA), '78 (PhD), who documented and analyzed the Bush Administration's words and actions in The Bush Dyslexicon: Observations on a National Disorder, has taken his show on the road. 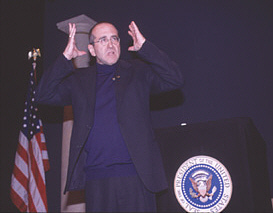 Operation American Freedom, a one-man stage performance, is Miller's challenge to the American people to be better informed and more involved in their democracy, he says. A professor of media studies at New York University, Miller is dismayed by what he perceives as the mainstream media's failure to hold political leaders accountable and to report a complete picture of current events, especially those occurring in the Middle East. Miller has dedicated his professional career to analyzing the media. As a professor at Johns Hopkins from 1982-1997, he organized and directed the Project on Media Ownership (PROMO), which focused public attention on what he considers to be the growing threat of excessive media consolidation. He has written extensively about the media for The New York Times and The Nation, among other publications, and authored several books, including Boxed In: The Culture of TV. His mistrust of what he views as the increasingly cozy relationship between government and corporate media, however, leads him to pursue alternative news sources on the Internet, a fact that he self-deprecatingly plays up in his show: "You don't sit over a hot computer all day long, with flies buzzing around your head, wearing a tin-foil hat, as I do," Miller jokes to his audience. "It's a dirty job, but somebody's got to do it." 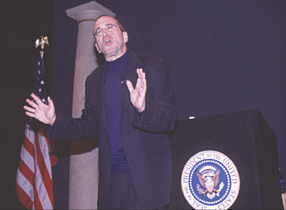 Operation American Freedom grew out of Miller's frustration after many of his promotional appearances for his book were cancelled. An analysis of President George W. Bush's verbal gaffes, it was published shortly after President Bush's inauguration in 2001, before September 11 radically altered the nation's political climate. 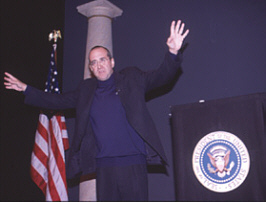 Miller became increasingly baffled by President Bush and his administration's statements and misstatements post-9/11. One of Miller's favorite targets is Ari Fleischer, former White House press secretary, who once told reporters: "I think the burden is on those people who think [Saddam] didn't have weapons of mass destruction to tell the world where they are." Comments like these, which Miller observes are often not adequately contested by the press, raise the critic's ire. "Your jaw gets tired of dropping," Miller says. "It's like the president has a giant bonsai tree growing out of his forehead and nobody says anything." "Your jaw gets tired of dropping," says Miller. "It's like the president has a giant bonsai tree growing out of his forehead and nobody says anything." Photo by Jim Burger Finally, Miller says, "I told myself, Why just get upset? Why not get upset in public?" With the prodding of his wife and some friends in the New York arts community, he rented out the Cherry Lane Theater to try his unique brand of entertainment-activism. "The premise of the show is that you see things and you hear things — things that are mind-boggling, self-contradictory, or patently untrue — and the result is alienation," Miller says. "You begin to ask yourself: 'Am I the only one hearing this?'" Apparently, no. Although there have been some walk-outs and hecklers, Miller's show enjoyed a successful run at the Cherry Lane, and he's been invited to perform in several cities, including Chicago and San Francisco. On September 12 and 13, he appeared before two enthusiastic and responsive crowds at the Patterson Theater in Baltimore. For two hours each night, he analyzed, criticized, imitated, and ridiculed, got laughs and gasps, and even responded to outbursts of incredulity. 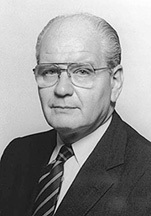 Julius "Jack" Jacobson II, Med '52, is hailed as the father of microsurgery for pioneering the use of a microscope in the surgical reconstruction of small blood vessels. But any in-depth conversation with Jacobson, director emeritus of vascular surgery and Distinguished Service Professor of Surgery at the Mount Sinai Medical Center in New York City, is likely to lead eventually to his other passion: classical music. Jacobson is the author of The Classical Music Experience: Discover the Music of the World's Greatest Composers, a compendium of works by 42 of the world's greatest composers, from Bach to Bernstein. The book comes with two audio CDs, narrated by actor Kevin Kline (who studied at Juilliard), with an additional free CD available by sending in a back-of-the-book form. Jacobson's enthusiasm for music began when he was a teenager. Later in life, his friend and former patient, the late musicologist Arthur Cohn, served as a "musical mentor," offering insights and suggestions on pieces Jacobson might want to include in his personal database of 1,500 CDs. Eventually Cohn and another musicologist, Joseph Machlis, "suggested that I might want to write a book from the standpoint of someone with my background," says Jacobson, "which basically means from the standpoint of someone who has no formal musical training." The Classical Music Experience is a valuable, basic resource "for the beginning person who wants to learn," says Jacobson. Written from a layman's perspective, the book helps readers and listeners acquire a familiarity with music and musical terminology. It also presents concise biographies of composers that provide historical perspective, with informative sidebars that offer tidbits about everything from medicine, to the Greek god Zeus, to the definition of "Tin Pan Alley." His descriptions — complemented by musical snippets on the CDs — vividly encapsulate each composer's musical style: For example, he says that "Chopin gives you 'whiffs' of emotion in his usually delicate piano music that are as polished and multifaceted as the diamond in an engagement ring." He describes the "dark coloring, yet brilliant sound" of Tchaikovsky's orchestration. Publisher's Weekly, which laments the book's exclusion of opera, says that Jacobson "often succeeds in capturing the essence of a composer's style" and concludes, "The doctor's enthusiasm is infectious." Jacobson is interested in both musical and medical education. He has endowed professorships in vascular surgery at Johns Hopkins, the Mount Sinai Medical School in New York, and Hadassah-Hebrew University School of Medicine in Jerusalem. His contributions have made possible monthly audio-visual Internet conferences that link vascular surgeons from the three institutions, enabling the surgeons to simultaneously discuss cases and alternative treatments. Jacobson and his wife, Joan, have also endowed a professorship at the Harvard School of Public Health. Johns Hopkins University, which revolutionized higher education with its very establishment in the 19th century, is poised to make another giant leap in the 21st century. Beginning in January 2004, the Alumni Association and the Johns Hopkins Sheridan Libraries will offer alumni a virtual library designed to support the university's commitment to life-long learning. Soon, from your own home computer, you will be able to peruse hundreds of academic journals, examine reference resources such as the Columbia Encyclopedia and the Merck Manual of Diagnosis and Therapy, and even enjoy licensed journal sources like the Harvard Business Review and the British Medical Journal. Last April, the Alumni Association conducted an electronic survey to measure interest in a virtual library, and the feedback was overwhelmingly enthusiastic. "We learned that there was great demand for an online library service, and once the Sheridan Libraries offered us their capabilities and expertise, we realized that we could make this happen soon," says Joe Reynolds, Engr '69, president of the Alumni Association. The Sheridan Libraries are as excited as the alumni. They've already hired a librarian who will be primarily responsible for maintaining the new site and helping users find what they need online. "The Johns Hopkins student enjoys access to a superb library system, and the opportunity to extend it to alumni is emblematic of everything Johns Hopkins stands for," says Winston Tabb, dean of university libraries and director of the Sheridan Libraries.